Wow! Year seven for the GBBC. We are humbled by the incredible amount of community support we’ve had these past 7 years. So we’re going big for this year’s Bike Banquet! 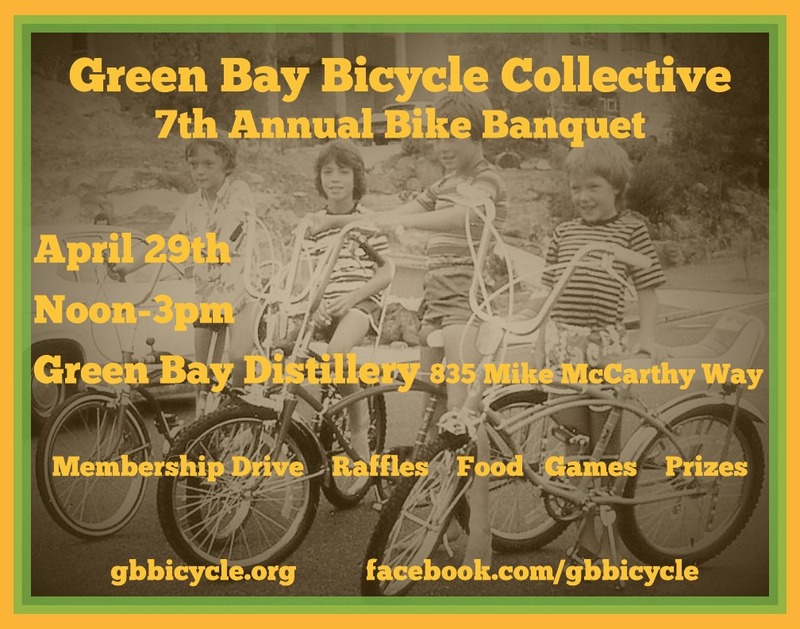 Ride your bike down to Green Bay Distillery for food, games, prizes, and raffles. Renew your GBBC membership and get free raffle tickets! Want to ride to the event with a group? We’re riding from the 4th St. Garage to Green Bay Distillery at noon to kick off the event! Membership: 13 months for $10 gives you a 10% discount on gear and labor at all the area bike shops. Bundle a membership and GBBC shirt for $20. Plus, we’ll give you 5 free raffle tickets with your membership purchase. Don’t hesitate to reach out with questions or suggestions. This year is going to be a big one for not only the GBBC, but the community as well.